The purpose of the ”Women and the Law“ project is to acknowledge the contributions of women in Michigan, not only to the legal profession, but also to the daily lives of the people. While there are undoubtedly countless influential women in our past and present, this list is simply meant to highlight a few of the most renowned. 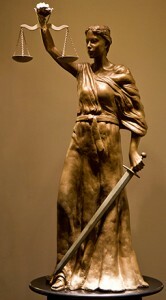 The descriptions that accompany each name are not intended to provide a detailed overview of the entire life of the individual, but rather to concentrate on their most publicly recognized or personally important accomplishments to date and the impact of these achievements on other women in the legal profession and in the general population of Michigan. This project is meant to serve as a basic introduction to the many women who have changed the Michigan legal system to better reflect the values of all it represents.